1- I drew two pictures and I need them to be underneath each other. 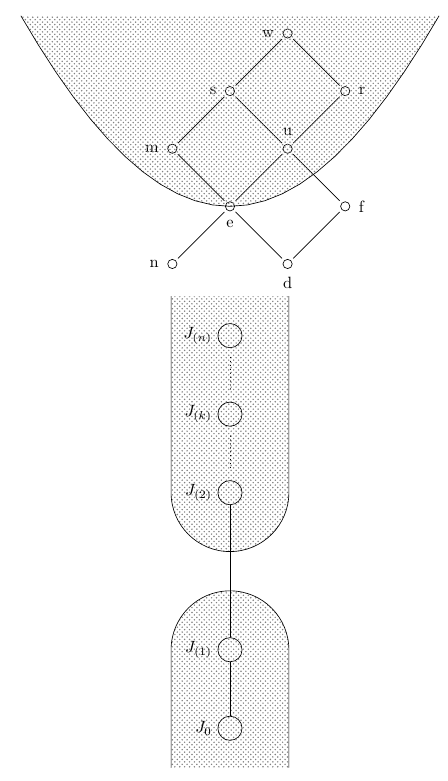 the first one presenting a Hass diagram and the second one a line poset. when I put them in a separate file, everything works well but not working once I combined them. Could you please advise me? As mentioned by @hpekristiansen in the comments, the triangle 45 arrow tip is the cause of the compilation error. The tip is unknown because you do not include the arrows library. For your other problem I 'streamlined' your code a bit and added some patterned \filldraws. 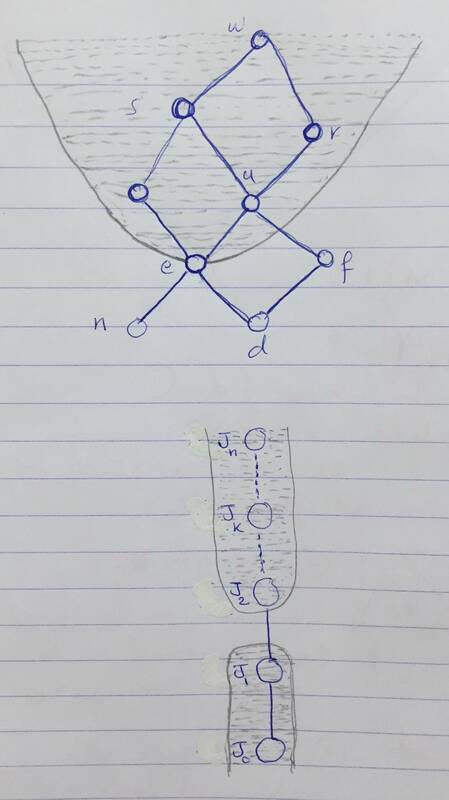 I assumed that the figures had to be centered below each other, if the lower figure must be aligned with the d node of the top figure, please let me know. Slightly decreased the size of the top figure pattern area and added an additional label to J0, as per requested in the comments. Not the answer you're looking for? Browse other questions tagged tikz-pgf diagrams shading or ask your own question.